Encouraging healthy behavior and decreasing substance abuse in our community. Underage drinking has been linked to substance use disorder. According to the Substance Abuse and Mental Health Services Administration, SAMHSA, “In 2011, three out of four substance abuse treatment admissions, of people aged 18 to 30, began substance use at the age of 17 or younger; 10.2 percent initiated use at the age of 11 or younger”. Evidence suggests that by addressing the early onset of use, we can prevent long term addiction issues. When considering the influence underage drinking has on substance use disorder, it is important to focus on the risk factors that cause underage drinking. Let’s look at some main risk factors known to be associated with underage drinking and some approaches used to make positive changes. Risk! Social Availability: Alcohol is readily available in the family, peer group, or community setting. This risk factor is addressed through education. Parents and families can be aware that kids are watching. Responsible drinking can be modeled at dinner, restaurants, driving, holidays, parties, summer celebrations. It is illegal to furnish alcohol or allow underage drinking even at a private home, even for prom and graduation. Kids can be confused about which rules or laws are okay to break. Towns can limit the number of alcohol retailers and limit stores and advertising near schools, playgrounds, libraries. Youth can learn about the impact alcohol has on the teen brain which is still developing until age 25. Kids who start drinking at a young age are more susceptible to alcohol or drug dependence later on, especially if there is a family history of problems with substances, alcohol disease, or mental illness. Kids need to know their family make up, just like knowing if diabetes or heart disease runs in the family. Risk! Retail Availability – Alcohol is easily purchased from retailers. 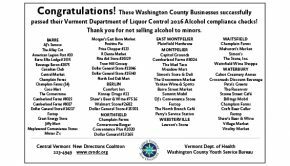 Store clerks, restaurant servers, and bartenders are required to be trained and certified with the Vermont Department of Liquor Control in order to make sure alcohol is only being used in safe and legal ways. The DLC conducts regular alcohol and tobacco compliance checks to make sure staff are checking IDs and helping to decrease retail availability for youth. Risk! Perception of Harm – Youth do not think alcohol is harmful to their health and wellbeing. The more youth know about the negative impacts alcohol and other drugs have on their brains and bodies, the less likely they are to drink. This risk factor is addressed through education directly to young people. It is important to provide information about how alcohol affects decision making, judgement, reflexes, and coordination as well as the consequences related to drinking—crashes, sexual assault, job loss, violence, drownings, addiction. Risk! Perception of Use – Youth think everyone is using. Youth often think their peers are using alcohol, tobacco and other drugs far more than they are. The Youth Risk Behavior Survey (YRBS), a validated survey administered by the Department of Health every two years, tracks current risk behaviors among middle and high school students, including underage drinking rates. Involving students in reviewing the current data, and communicating these survey results to their peers, can provide a fact-based outlook on current use rates. Risks! Parental Disapproval – Youth do not think their parents think it is wrong for them to use alcohol, and Parental Monitoring and Involvement – Parents are unaware of the child’s activities. Parent engagement and education can address both parental disapproval, and parental monitoring and involvement. 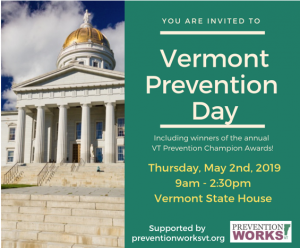 Parenting classes, like Guiding Good Choices, hosted by Central Vermont New Directions Coalition, can equip parents with the skills needed to take an active role in their child’s life, regarding substance use. Parents can set clear guidelines and family rules and talk to their kids often about not wanting them to use substances so that kids know their parents care about this. 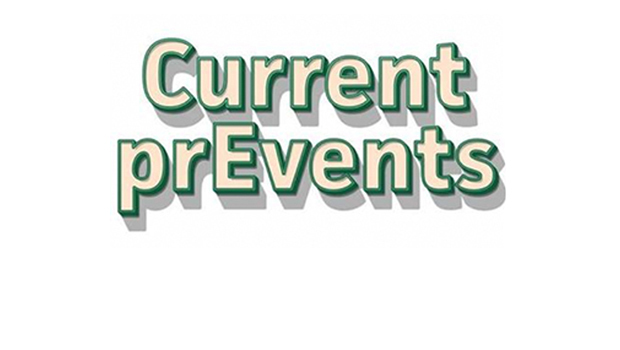 Additionally, the website ParentUpVT.org provides guidance on how parents can start a conversation with their children about substance use, whether it is tobacco, alcohol, marijuana, or prescription drugs. Risk! Social Norms – Youth think drinking is a normal part of everyday life. Social norms include the beliefs of the individual, their relationships, the organizations they interact with, their community, and even their city or state. The more exposure youth have to alcohol use and marketing, the more likely they are to drink. 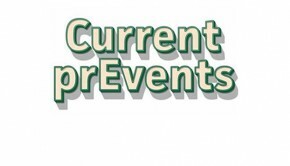 We can create change by educating communities on the value of substance-free events and gatherings, and the importance of limiting youth exposure to advertising and drinking. Many college campuses have substance free dorms and activities as an option for students. All of these risk factors outline some of the underlying causes of underage drinking. By diminishing the impact of any given risk factor, we can prevent underage drinking, and ultimately substance use disorder. Prevention is all about stopping something before it starts. It takes individuals, families, and healthy communities to help bring about positive change. 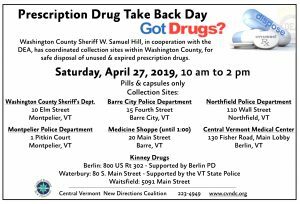 Central Vermont New Directions Coalition is a non-profit organization dedicated to making a difference in youth substance use in our community.